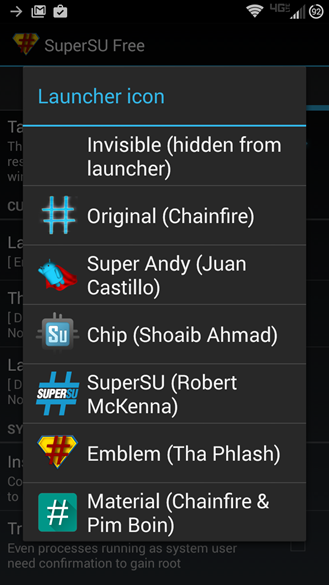 Lollipop users, you can now download the popular SuperSU tool from the Play Store. Not that you couldn't before, but version 2.35 is particularly notable: it works with a lot more of the usual root apps, after both SuperSU and the apps that use it were having trouble on Android 5.0. You can flash 2.35 via the usual ZIP in TWRP (and probably other custom recoveries), with updates coming via the Play Store after that. 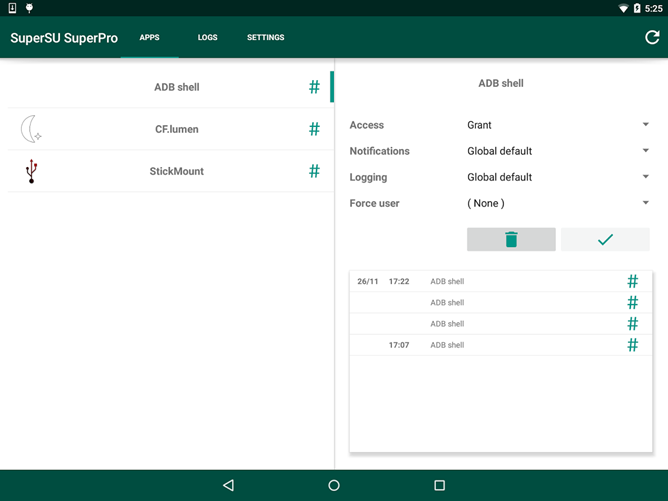 Developer Chainfire has been working on getting SuperSU to play nice with root apps since the developer preview, but each new release up to the retail launch of Android 5.0 has presented new problems, especially with the new SELinux security policies. But it looks like he's got things sorted out now, and the root permission manager is starting at boot on Lollipop. If you're running SuperSU on an older version of Android, you should see the update in the Play Store - don't worry, it should be business as usual for you. If you'd like the nitty-gritty details, check out Chainfire's Google+ post. 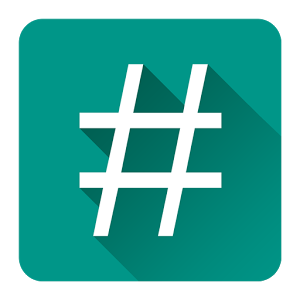 SuperSU isn't exactly a visually-intensive app, but even so, the developer has added a few new visual elements and a new logo to make it look better for those on Lollipop (or just Material Design fans in general). 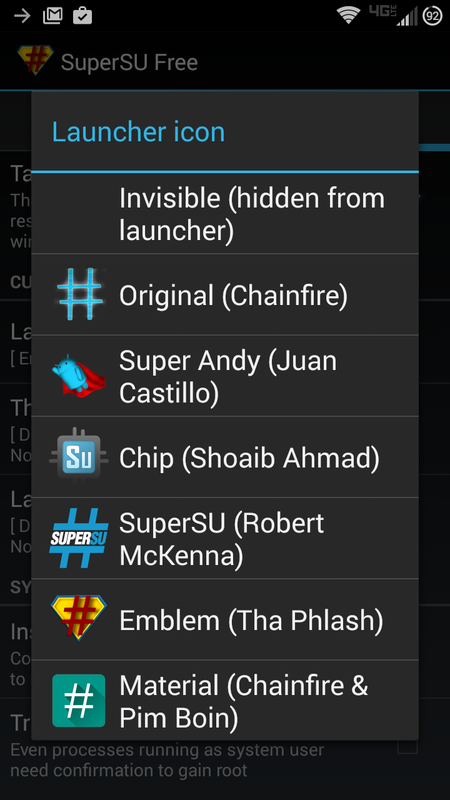 There's also an option to choose between the new and old launcher icons in the Settings menu. Huzzah! SHIELD Tablet LTE's Android 5.0 Update Rolling Out Now In The U.S.